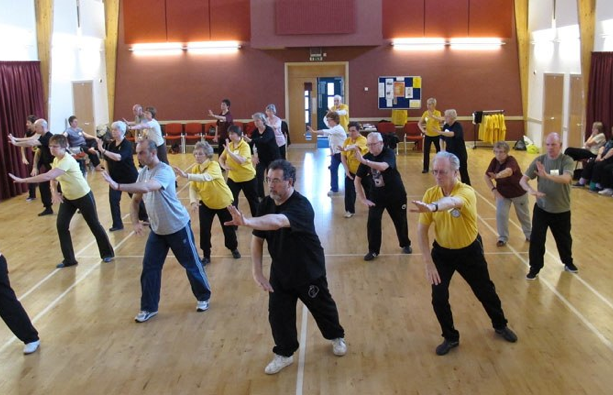 The Essex Tai Chi Academy is a not-for-profit organisation operated by volunteer instructors. We are dedicated to teaching the techniques and benefits of Tai Chi as originally taught by Master Moy Lin-Shin (1931-1998). Adapted from martial arts, Tai Chi is gentle exercise that allows you to stretch your muscles, tendons, and ligaments in a natural way, creating a feeling of relaxation and providing real health benefits. We welcome young and old alike and have become known for our relaxed and friendly approach to teaching. We also offer our services to partners in traditional health and social care agencies. We offer classes in both Tai Chi and Lok Hup Ba Fa. The Academy is concerned only with Tai Chi and is not affiliated with any religious groups.